With a vast amount of local knowledge we can offer an extensive range of services on virtually every aspect of property related matters within the Residential and Commercial Markets. 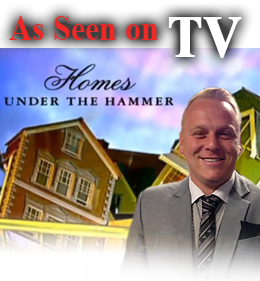 If you are looking to buy your dream property our friendly, professional staff will be pleased to help. 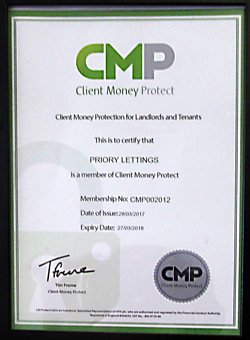 Priory have built a strong reputation of selling residential properties throughout South Wales. Our experienced sale staff have a wealth of experience and local knowledge combined with a professional and personal touch. Prior Estates sell properties throughout South Wales, from Cardiff and The Vale of Glamorgan. Whether you are looking for an Apartment to Townhouse, Farm to Country Cottage, you are sure to find a property to suit your requirements. Priory Estates are pleased to delighted to offer to the market this two bedroom property situated in the popular area of Mallory Close in St. Athan. The accommodation briefly comprises; entrance hallway, lounge, kitchen/diner, two double bedrooms with fitted wardrobes and family bathroom. The property benefits from double glazing and central heating throughout. To the rear is an enclosed rear garden. The property is currently tenanted and would provide a great buy to let investment or first time buy. *** NEW PRICE *** BRAND NEW 99 YEAR LEASE ON COMPLETION*** Priory Estates are delighted to offer to the market this two bedroom apartment situated in the heart of Barry and within walking distance to local shops and the railway station. The property is an ideal first time buy or investment property. Briefly comprising communal entrance, entrance hallway, two bedrooms, lounge, kitchen and bathroom. Benefitting from double glazing and central heating throughout. Allocated parking. Priory Estates are pleased to offer a three bedroom end of terrace property situated in the Coldbrook estate. The property briefly comprises entrance hallway, good size lounge, kitchen, to the first floor accommodation, three bedrooms and family bathroom. Benefitting from double glazing through-out and gas central heating. This property is ideal for investors. Viewing is recommended. Priory Estates are pleased to offer to the market a well presented two bedroom ground floor apartment in the Grade 2 listed building formally known as the Barry Hotel sitting proudly in the West End of Barry. The accommodation briefly comprises; entrance hallway, open plan lounge/diner with opening to fully fitted kitchen with integrated appliances, two bedrooms with en-suite to master and family bathroom. The apartment benefits from facilities within the building including access to fully equipped gymnasium, private allocated parking to the rear of the building at an additional fee, lift and stunning original features throughout. Offering an ideal investment opportunity. Viewing is advised. Current owners have a share in the company that owns the freehold, which gives the option to extend the lease to 999 years. **NEW** Priory Estates are pleased to offer a three bedroom mid terraced property situated in the heart of Barry. Dearly placed for amenities which include, shops, leisure facilities, school and public transport. The property briefly comprises entrance porch, hallway, lounge, dining room, fitted kitchen, bathroom and the first floor three good size bedrooms. This property benefits from gas central heating and uvpc double glazing through-out. **Ideal for first time buyers or investors** Viewings are recommended. Offered with no chain. *** NEW *** Priory Estates are delighted to offer to the market this very well presented semi detached three bedroom property. The property is located with great access to Cardiff and the M4. Briefly comprising attractive entrance porch, entrance hall, lounge, kitchen, conservatory, shower room and to the first floor three good size bedrooms and a w.c. Being very well presented throughout with off road parking for two vehicles and a landscaped rear with a brick built summer house. *** NEW *** Priory Estates are delighted to offer to the market this modern three bedroom semi detached property. Briefly comprising entrance hallway, lounge, kitchen/diner with french doors providing access to a south facing garden. To the first floor are three bedrooms and a family bathroom. Benefitting from double glazing and central heating throughout via a combination boiler. The property is an ideal first time buy or investment property and viewing is advised.